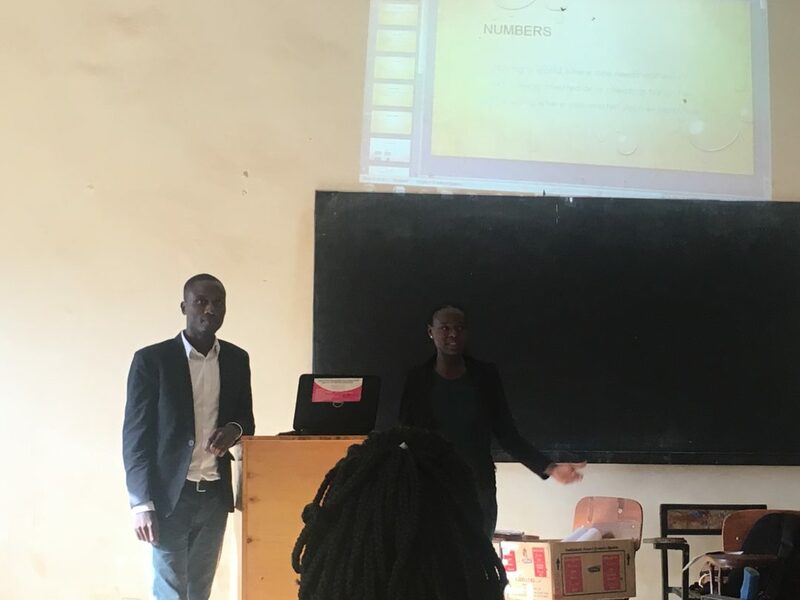 As I mentioned in my previous blog post, some of our UCU students participated in the StartHub Africa program for the last semester. 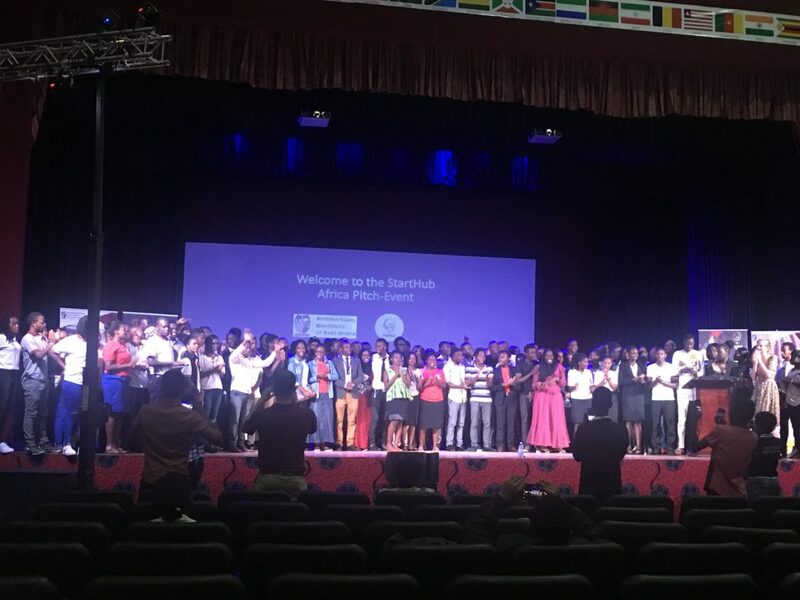 The culmination of the program was the final pitch event in Kampala at International University of East Africa. Our day began at 6 am when we left UCU campus in a 14 person van (a taxi) to get to Kampala by 7:30. Our early departure time was to avoid the “jam” (or traffic) that is a fact of life here on the main roads. 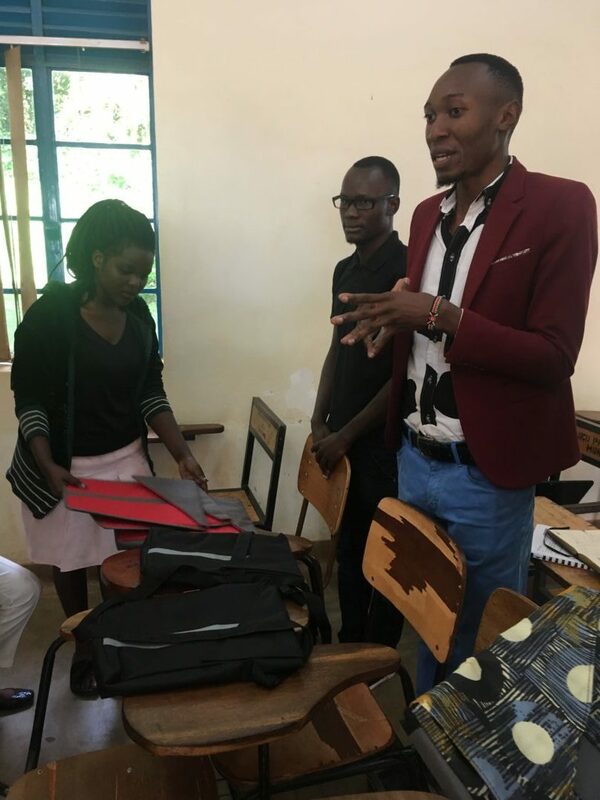 Dressed for success with their prototypes in hand, our students were excited for the final day to have arrived, each hopeful that they would be winners of some prize money to further their businesses. We were the first university to arrive, allowing each of our 5 groups to have prime locations for their “booths” for the fair. Location, location, location! The agenda for the day is shown here… although we operated on African time so it was not exactly as planned! After the judges had visited each of the approximately 35 groups during the fair, the judges announced the 11 finalists, 2 groups from each of 5 industries and 1 voter selected finalist. UCU brought 5 groups, and 3 of our 5 were finalists and were able to make their 5-minute pitch on stage to the judges and all in attendance and answer 3 minutes of questions afterwards. We were so proud of each of our students who put their all into their businesses and also of the groups who presented very well. When final results were in, one of our groups won! The business is a mobile app called “MyCents” which is intended to keep track of simple bookkeeping targeted at mini-business owners up to small business owners. The interface is user friendly for non-financial managers or owners and then has graphical depictions of sales, expenses, etc. 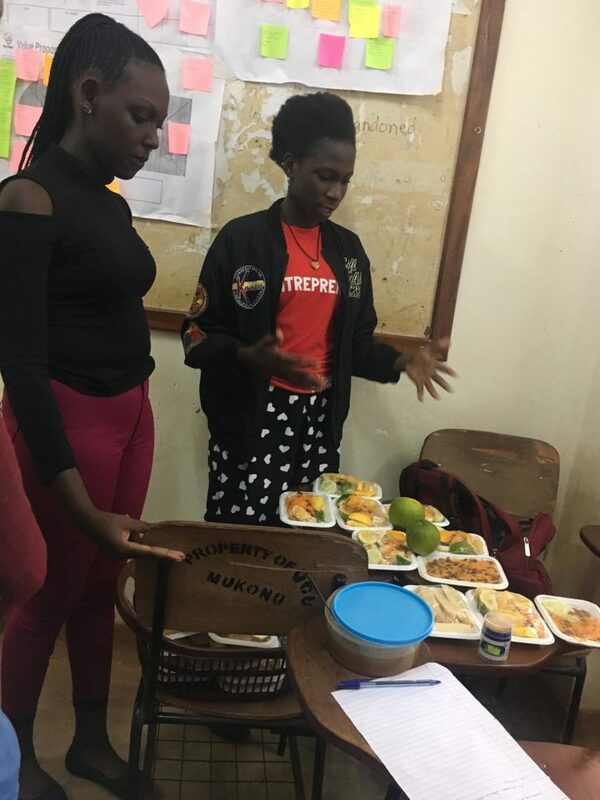 There are many mini-businesses in Uganda, people selling chapati (similar to a pancake) on the side of the road, small retail storefronts selling food or bags, and others. Often people go out of business due to poor cash flow management. 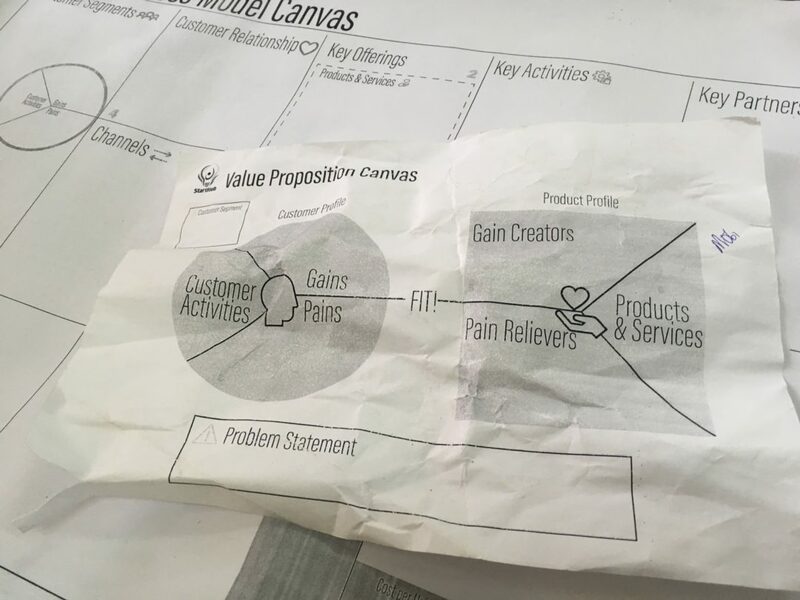 This group’s solution to that problem was to provide a way to easily monitor the progress of the business in order to make better strategic decisions. In an environment where personal computers may not be accessible to everyone but mobile phones are very common, this mobile app could have a great opportunity to make an impact. It will be exciting to see how far they can take their business! 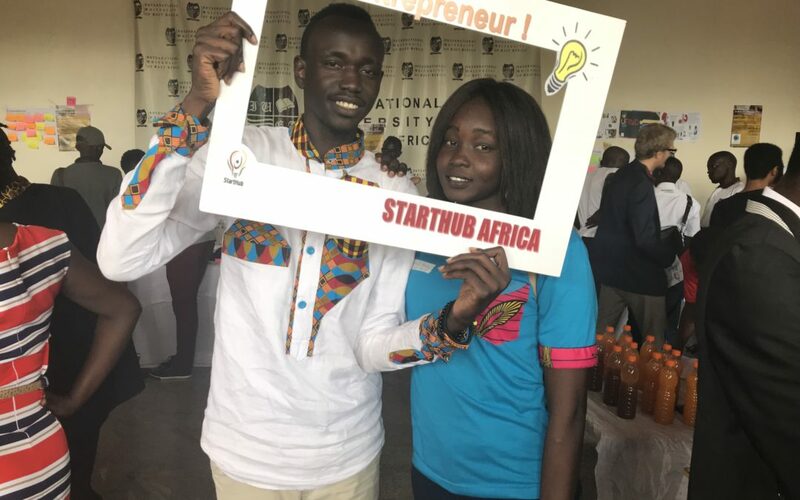 One of the projects that the Entrepreneurship Faculty at UCU has been facilitating for interested students in all courses of study is StartHub Africa (fb.com/starthubafricaa). 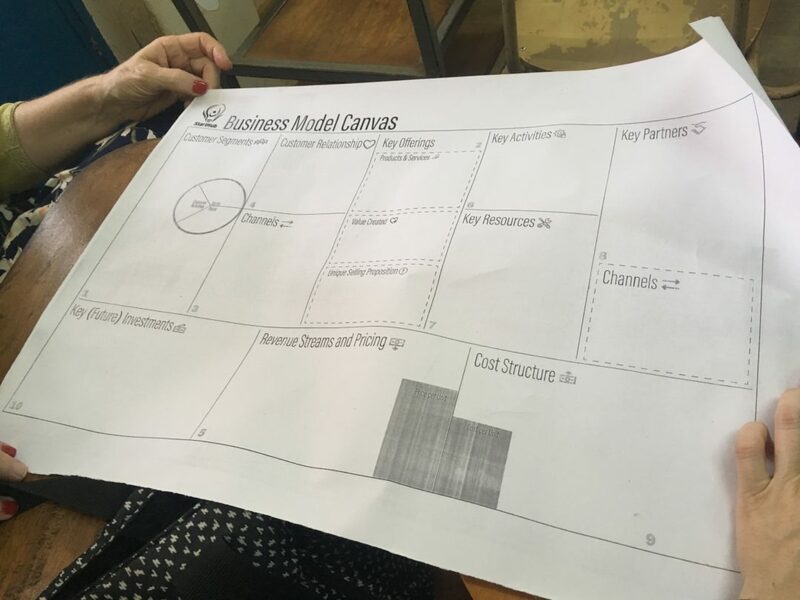 The StartHub course involved approximately 11 lecture sessions presenting material to help student entrepreneurs develop business plans and create businesses using tools like the “Business Model Canvas” shown below. 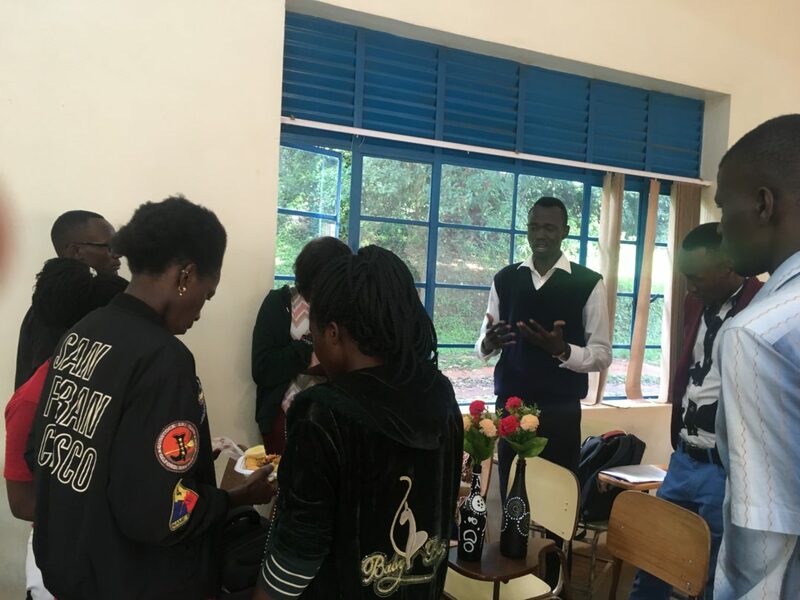 The UCU students have been meeting Saturday nights from 7 pm – 10 pm. Now, that’s dedication! 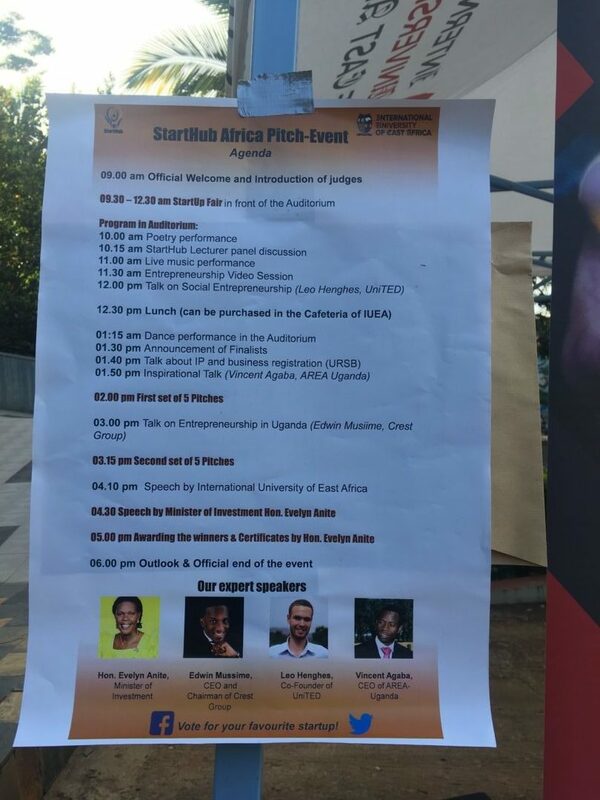 The StartHub course ends with a final competition for $5,000,000 UGshillings (about $1,400 USD) called the StartHub Africa Pitch Event. 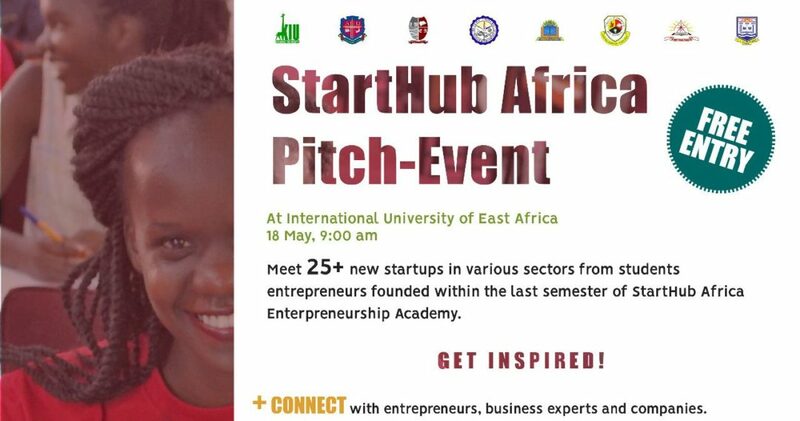 It will be held this Friday May 18th at International University of East Africa (IUEA) in Kampala. 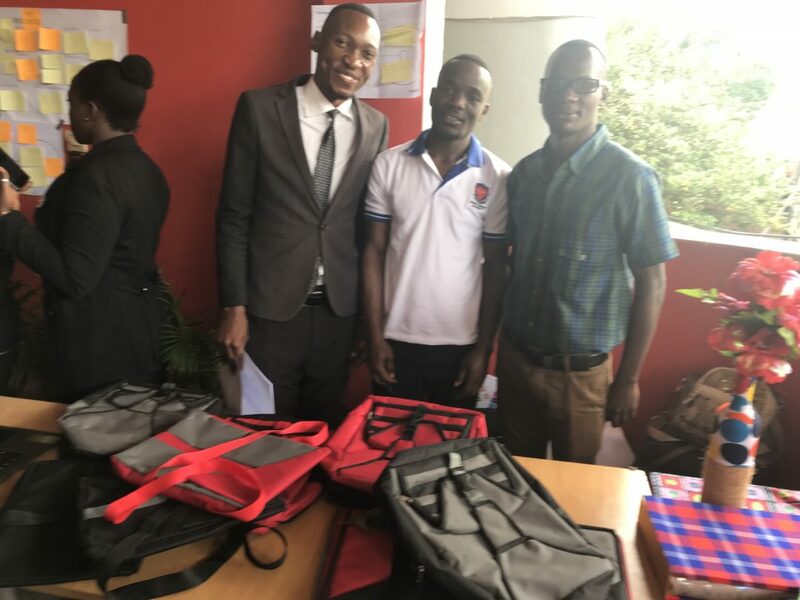 Guests will include students from all universities around Kampala, entrepreneurs, companies, investors, and the general public, and will come to see groups presenting new businesses from seven universities including International University of East Africa, Kampala International University, Kyambogo University, Ugandan Christian University, Ugandan Martyr’s University, Ndejje University, and Bugema University. The event will begin with a business fair where the public and the judges can visit the booths of each team to learn about their business and ask questions. After lunch, the judges will select 9 teams, plus 1 selected by the public as a favorite, to present on stage a 3-minute pitch on their business to compete for the award money. Last Friday, the faculty members helping with StartHub gathered with the students for an “Internal Pitch” to help them prepare for the final Pitch Event this Friday. 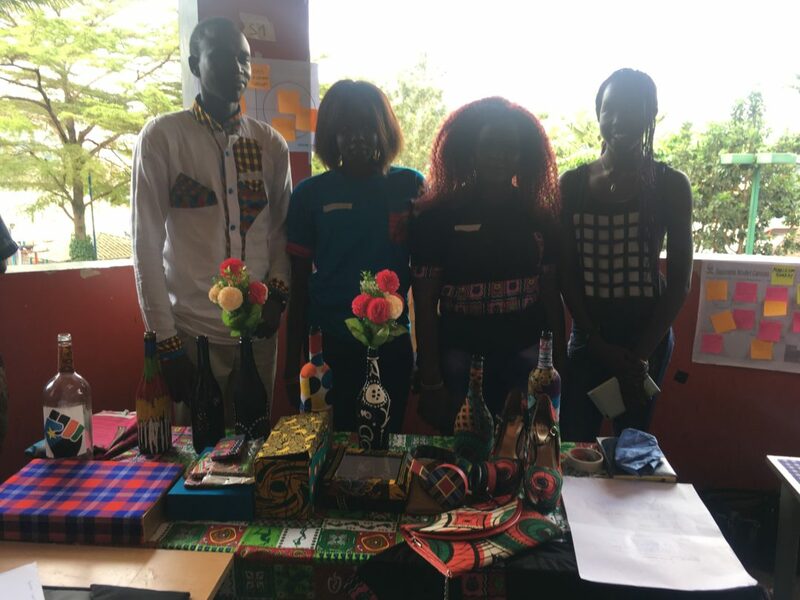 Teams brought prototypes of their products and powerpoint presentations to explain their business and entice investors or the Pitch Event judges. 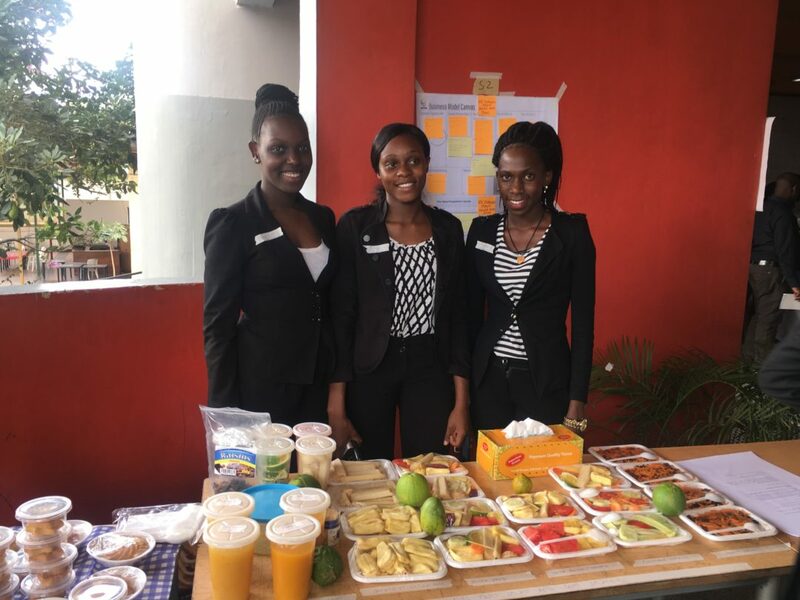 Our students have come up with a variety of products including mixed fruit trays, a bakery business, a backpack manufacturing company (which has already made sales to some schools! ), a mobile app for small business owners in all industries, and affordable home décor. I look forward to seeing how the students refine their businesses and presentations as we help them to prepare for the event on Friday. We will hope for a great outcome! In the parable of the talents (Matt 24:14-30), each servant is given a certain number of talents, or currency. Some used those talents to increase the number, and one hid it away, not producing anything. When we think about the resources, gifts, and talents God gives us today, how are we using them to produce fruit and bring about the Kingdom? “You know we learn a lot from you, April,” said her student. “How is that?” she asked. April’s student is right. We don’t need to wait for others or money, but we can use what God has given us in order to create something good. Instead of hiding it away for herself, April shares her skills, knowledge, and talents with others. 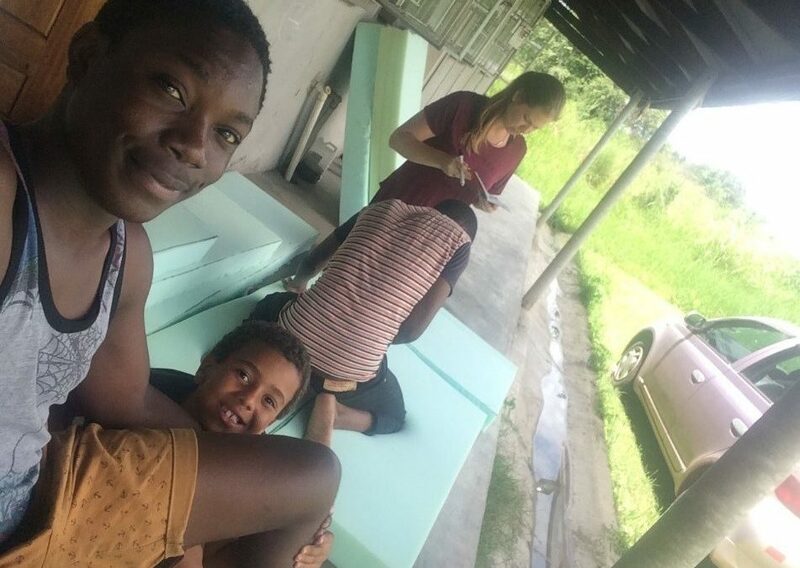 April teaches yoga and swimming to the students that she disciples. 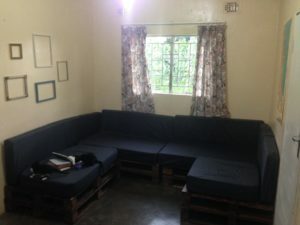 By using her skills that are instilled in her by God, she is able to connect with her students and share the love of Christ. What gifts has God given you and how are you using them to further his kingdom? April Sylvester is involved in an outreach ministry to Zambian youth that involves discipleship and mission training. We see you working over there on your couch. It shows us that we don’t have to wait for other people or money to do things. We can do it ourselves.